(PDF Version) How Does It Work? If you enjoyed this post - please share it! The word is out. Proclaimed across the web and beyond. Content matters. 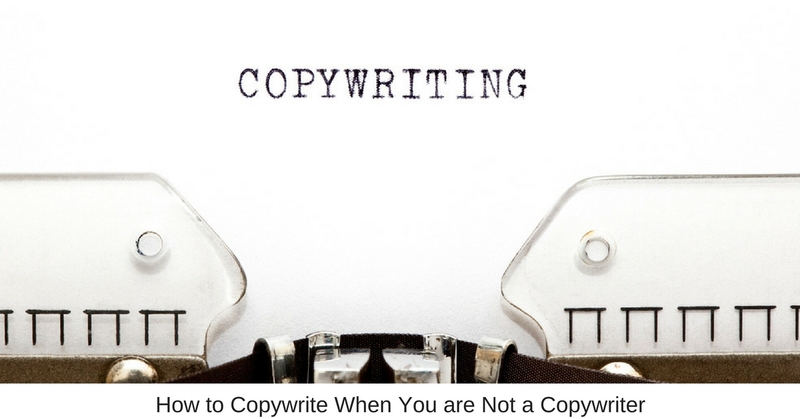 Yes, knowing how to copywrite makes a difference. Yet, here you sit. A business person. A web developer. A design guru. And, while you have impressive skills, balance a gazillion plates, brave uncharted waters daily, this monster of how to produce content terrifies you. Just a bit. If you are honest. But, the thing about monsters is that if you expose them for what they are, they become easier to defeat. As many a kid knows, this means turning on the light. Yes, a night light, a hall light or even braving the four feet of pitch black to switch on the bedroom light keeps these scarier-in-the-dark creatures at bay. While as adults we now realize those seem-so-real monsters never surface from under the bed or venture beyond the closet, these imagined threats do damage if allowed to go unchecked. They paralyze young warriors in their beds arms wrapped around a beloved, furry friend and cause loss of sleep. And, so it is with our adult fears, imaginary or real. So, with a trusted, worn companion in your arms (if need be), let’s shed some light on this monster of copywritten web content. Expose it for what it is. And, I am going to guess that in the light, your trembling at the thought of taking on this task will cease. Threat averted. Without taking too much time, let’s review why this act of copywriting is valuable to your website. After all, your attractive, clean, modern design draws plenty of love at first sight. Unfortunately, love fizzles if some semblance of substance fails to reveal itself beyond physical attractiveness. According to Brenda Barron of Elegant Themes in her article, Basic Copywriting for Web Designers (and Why It Matters! ), two practical reasons come into play for tackling this monster. As alluded to above, an attractive design with lack of word substance turns off website visitors. Time and money well spent on the layout, colors and graphics fall flat when the copy reads, “Buy It.” Conversely, stellar, audience engaging content gets missed when readers click away at first glance due to an antiquated or just plain ugly site. Written copy and design both create tone. Playful or introspective, humorous or serious, joyful or frank, formal and informal, and more describe the mood set by your words and web layout. But, consider the confusion of the reader when a playful design meets serious, technical content. Now, understand that confused readers do not stick around. Beyond design, many reasons point to the need for quality copywriting on your site. Successful content drives traffic, boosts engagement, garners sales, retains current customers, builds your brand, establishes your authority and reputation … need I say more? Plus, there is that paralysis that results from fear. In other words, avoiding the subject only hurts you. So, gather that strength with which you fight all those daily monsters. Take courage. And, move into action. After all, this foe is not so different from the others. You may be surprised to realize that the foundations of good content already lie within your knowledge base. Whether you are a business person or web developer, these factors likely come into play in your current work. So, breathe a sigh of relief that you just may know more than you think you do in regard to copywriting. The heart of any business is its vision statement. Clearly communicating overall goals, successful companies ensure these core ideas back and inform every action taken and each decision made. In other words, vision brings purpose and focus to your business. And, it does the same to copy. Just as vision proves powerful in motivating and guiding employees, this tool engages and directs readers when applied to web content. Knowing your company’s vision and incorporating it into written copy ensures each component of your strategy is moving in the same direction. Obviously, all businesses face competition. And, nothing brings this fact to reality more than the flood of would-be reader suitors across the Internet. Getting to know the competitors in your industry offers insight for strategic planning. How can I stand out among the competition? What unique features set my company, product or service apart? What areas are my competitors known or not known for? Are there reader questions or topics of interest which other companies are not addressing? Why have my loyal customers chosen my business over other industry favorites? Answering these questions help identify ideas for copy which gets you noticed and further engages readers. But, then again, you may already have a handle on this due to its impact on your current work. If so, you are more prepared than you knew. Sorry to be a nag. But, discovering the language of your audience and fluently speaking it reaps rewards across marketing campaigns including content strategies. Identifying the needs and issues faced by readers enables you to produce relevant copy that interests and engages them. Yes, writing valuable content for your audience draws and attracts leads while retaining readership and clientele. The crux of any marketing plan is to know where you are going. While your vision directs your efforts to this end, customer action is likely the culmination of it. In other words, you must know how you want readers to respond to your copy. What is the end game? Successful content leads readers down the path step-by-step. And, quality copy identifies the action steps required and clearly communicates them to consumers. These calls to action or CTAs need to be visually striking, brief, action-oriented and easy to find as well as clear and understandable. If you do not know well the products and services your company offers, you may need to look for employment elsewhere. After all, understanding the features and benefits of your product affects every job description across the board. Sales staff promote it. Web developers feature it. Customer service answers questions about it. And, content writers communicate with readers as to its benefits and features. However, keep in mind, this differs from sales and promotion. When you copywrite, a focus on the value you deliver to the consumer and how your product addresses the emotional needs of readers rises to the top. In other words, pairing your product or service benefits with the needs of the reader is the goal. And, the focus is on the reader, not you. Consumers want to know what is in it for them. Whether you know it or not, the actual process of writing content likely proves well within the scope of your experience. After all, it follows much of what English class in high school and every course in college taught us (for those brave enough to dig back that far in our memories). Research, write and revise are nothing new. So, no fear required. However, thoughts of red ink and stern-faced professors may resurrect monsters from your past. Then, my apologies. Grab that trusty companion, and let’s walk through this together. Your audience and competitor analysis begin your research process. Now, combine these insights to choose a topic relevant to your readers which stands out from the competition. Conduct additional research to round out your topic and ensure your copy is accurate, informed and informational. Using the information from your know-how, know-what and know-when above plus your research on the topic at hand, type away. Let the words flow freely onto the page in the form of a draft. Keep paragraphs short, use bullet points well and include headings and subheadings to make content skimmable. Literally, sleep on it. Take a break from the completed draft and return to ruthlessly cut filler words, unnecessary phrases and loose copy. Then, proofread. Proofread again. Get someone else to proofread. Grammar and spelling faux pas scare readers straight to other websites, literally. Do what it takes to eliminate the errors. A few weapons offer confidence in defending against the monster of producing content. While these hints are not all-inclusive, they offer you a solid basis for differentiating your copy from run-of-the-mill creative writing (though this style offers significant value in its own context). For information overload on this subject, Google “writing good copy” or browse our Copywriter Today blog for relevant articles. For our purposes, let’s talk about three such weapons. The fact is sighted commonly in copywriting blogs and articles. Eight out of ten people engage with headlines alone which means only two out of ten proceed to the body of your content. In other words, these short starting phrases hold tremendous power in engaging readers. Use uncommon, power and emotional words. Align with and frame great content. Stand out in their design. Also, free headline tools and other analyzers ensure you get this right on the front end. However, testing always proves vital before, during and after posting to understand the real impact of a title on real readers. Switching up a headline gets passed over posts noticed. Questions beg to be answered. And, it seems as humans we have an innate reflex to answer them. Consider crafting relevant inquiries of your reader as you would in natural conversation. After all, this is the goal of copy, to interact with the reader. Increases click rates (especially when placed in headlines). Invite readers to more intensely process your message. Offer greater persuasion than a statement when readers agree with you. And, the right questions concluding a piece further the conversation, interaction and engagement. Furthermore, in copy for social media platforms, a well-worded question stands alone in starting a conversation, gathering information or encouraging action. In other words, questions include the reader in a written dialogue. Relevant to the content, culture or complimentary activities. Personal to the audience i.e. one that the reader would ask. Intentionally planned to get the right answer. Tangentially related to your brand. Connection around a shared experience, feedback, fun or even hypotheticals. But, what is the greatest test of a question’s effectiveness? Its ability to elicit a response. Do browsers click? Readers read on? Instagrammers respond? If so, you crafted a worthy question. Always a hot topic, content gets attention from those who craft it, search engines and readers. Briefly, engaging copy adds value to lives. In other words, readers find your written word worth their time and energy to stop and spend a few moments with you. To this end, quality content mirrors your reader. It answers a question pondered, provides a solution sought, promises positive emotions, teaches something new or encourages in times of struggle. Use your research to understand which topics best address the needs of your audience and write. Match your tone with your brand and web design. Stay true to your vision and purpose. Create meaning and value for the reader with substance. Appeal to all the senses. Remain centered on your main point. Of course, an eye to SEO and measuring results come into play here as well. After all, well-written content which eludes search engines or turns off readers misses the mark. But, this topic is for another day. Beyond practice, studying copywriting examples and signing up for free copywriter courses enhance your skills as a content writer. And, whether drafting short snippets for a landing page, creating a captivating CTA or writing a blog, gaining this knowledge proves worth your time investment. Yes, this is a fear worth overcoming. So, are you ready to tackle the task of curating content? Have the monsters been significantly revealed in a light which reduces their scare factor? If so, share your experiences in the comments below. We would love to hear your victories over this foe. On the other hand, perhaps this conversation has given rise to new threats. Yes, the investment of time and money offers a significant return on investment. But, where do you gain the hours in an already overtaxed schedule? Even if your fears dispel and you realize you possess the necessary skills, time becomes a factor. After all, saying “yes” to writing content means saying “no” to something else. Fortunately, there is a way to give ample attention to content without forsaking other vital ventures. Copywriter services offer a partnership. Bringing the knowledge of quality copywriting, these freelancers provide you with result-driven content while allowing you to focus on other critical tasks. If this meets your need, Copywriter Today would love to talk with you. Contact us today to begin a profitable relationship. Feel free to share your ideas and your existing website if you have one. 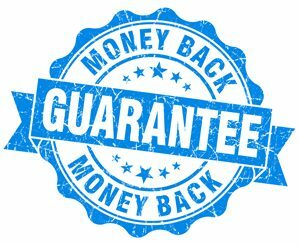 Our service comes with a money back guarantee! 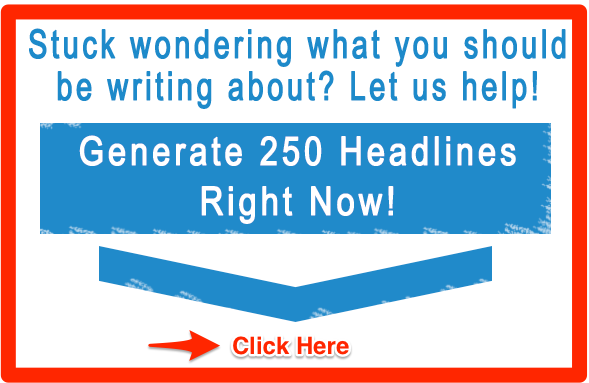 Get 250 Headlines for FREE! Ready to Get Started with Copywriter Today? We're looking forward to helping you! Please get in touch with us and we'll get back to you right away. Do You Need More Headline Ideas?